As the indications for renal exploration become clearer, nonoperative management has become the treatment of choice for the majority of renal injuries. In stable patients, supportive care with bedrest, hydration, and antibiotics is the preferred initial approach. Primary conservative management is associated with a lower rate of nephrectomy, without any increase in the immediate or long-term morbidity (Schmidlin et al. 1997). The failure of conservative therapy is relatively low (5 %) (Herschorn et al. 1991). All Grade 1 and 2 renal innuries can be managed no-noperatively, whether they are due to blunt or penetrating trauma. Therapy of Grade 3 injuries has been con troversial for many years. Improved results in all recent studies support expectant treatment (el Khader et al. 1998a; Thall et al. 1996; Cheng et al. 1994). 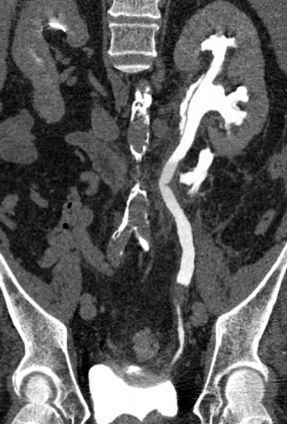 The majority of patients with Grade 4 and 5 renal injuries present with major associated injuries, with resultant high exploration and nephrectomy rates (Santucci and McAninch 2001), although emerging data indicates that many of these patients can be managed safely with an expectant approach (Hammer and Santucci 2003; Rogers et al. 2004). Penetrating wounds have traditionally been approached surgically. However, stable patients should undergo complete staging to define the full extent of the injury. Renal gunshot injuries should be explored only if they involve the hilum or are accompanied by signs of continued bleeding, ureteral injuries, or renal pelvis lacerations (Velmahos et al. 1998). Low-velocity gunshot and stab wounds of minor degree may be managed conservatively with an acceptably good outcome (Baniel and Schein 1994). Meanwhile, tissue damage from high-velocity gunshot injuries may be more extensive and the majority of patients present with major associated injuries. Hemodynamic instability requiring a nephrectomy is a very common situation (Ersay and Akgun 1999). In 1983, Bernath et al. (1983) suggested that if the site of penetration by stab wound was posterior to the anterior axillary line, 88% of such renal injuries could be managed nonoperatively. In another study, analysis suggested that injuries to the flank were more likely to be Grade 3, whereas injuries to the abdomen were more likely to be Grade 1. A systematic approach based on clinical, laboratory, and radiological evaluation may minimize negative exploration without increasing morbidity from missed injury (Armenakas et al. 1999). Renal stab wounds producing major renal injuries (Grade 3 or higher) are more unpredictable and they are associated with a higher rate of delayed complications if treated expectantly (Wessells et al. 1997a).